Looking after the welfare of your employees is a primary concern every entrepreneur should have. This is very much the case if you’re running a construction business. Of course, the environment a construction site embodies is nothing new; from falling debris, to unsafe and unstable conditions. But when it comes to looking after your employees in a comprehensive manner, what do you need to consider? Each construction site has its own rules and regulations, and it’s not just the on-site rules you need to observe, but the legal side too. For those businesses that are officially confirmed as a start-up, it’s more than essential for you to acquire the relevant knowledge based on where you are located. Depending on the country you’re in, the rules and regulations change somewhat. But it’s your responsibility to ensure that your construction workers are trained and educated so, not only are you in keeping with the standard rules, but you will prevent injury, or even death. If you are acting as construction site manager, you need to be well versed in the health and safety regulations. But you need to implement daily checks so that you are in compliance with government regulations. As construction, invariably, comes with its own guidelines, the working hours are varied, but also, long. As the person in charge, it’s vital for you to ensure that every member of staff is working to the best of their ability, but are also working healthily. Lots of construction companies take a shortcut and higher temporary staff, and with this, comes temporary contracts, giving you the opportunity to let them go at a moment’s notice. Think about this before you press ahead, and although it might be cheaper on the face of it, are you going to guarantee that these people will do a good job? Instead, you might be better off hiring people for the long stretch. Many companies in the construction industry, as well as manufacturing industries, go for an apprentice. The great reason an apprentice is a worthy investment is, not just because they are cheap, but they are dedicated to the job. By hiring apprentices, you are investing in their long-term tenure within the company. This means that they are eager to learn, but they are also dedicated to the business. You are unlikely to get this with typical temporary staff. Even expensive contractors make the most of dipping in and out of jobs purely for the finances. So, it’s worth considering this when you assess the overall working environment. The working hours can be long, but if you have workers who are dedicated to the final product, and are willing to put in the time, this is a pertinent investment. It’s very difficult to think so far into the future, especially if it’s a long-term build, but this is why you need to consider the bigger picture. You need to work with your construction site manager and come up with an ideal working environment that pleases everyone, but is also compliant with the rules and regulations. The general working environment of any construction site is unsteady. And this is why you need some semblance of normality. Something as basic as comfort breaks are non-existent in certain areas, and it’s unfair to ask your staff to go off site for a comfort break. This is why you should invest in the little things that will make them comfortable. You can learn more at Superloo.co.nz about the benefits of portaloos on site. They’ve become far more sophisticated now than just the common hole in the ground or outhouse! As far as health and safety is concerned, it’s surprising how many construction sites don’t have the option of letting their employees wash their hands! In addition to this, you should also consider the opportunity to give your workers adequate downtime. If they are working long hours, it will have an impact on their productivity. This is why you should have good quality huts available, so your workers can go and have a proper break. The way it used to be was construction sites would have their workers stay on site and have their break out in the elements. But now, with poor weather conditions, especially in relation to a tight deadline, means that your staff are out in all weathers. This could have the detrimental impact on their health and it’s vital that you provide somewhere for them to have a respite. You can see more details at Demeeuw.com on various types of construction site huts, but it doesn’t have to be extremely sophisticated. It can just be four walls and a roof, so they have proper shelter. Looking after your workers on the site means, not just proper break times, but also making sure that they are working at optimum capacity. So this means, in addition to regular breaks, time away from the building site so they can focus and re-calibrate, will benefit everyone’s productivity, meaning the task will be done on time. As an entrepreneur, do you have what it takes to manage a construction site? If not, it’s very important for you to consider what skills you lack in, such as if you are unable to take the role of the construction site manager. It’s important for you to look at the bigger picture, especially as it’s down to you to make sure that the job is completed on time. Because every construction site works in a different way, you should consider how best to keep everybody motivated and working to their strengths. It can be very difficult if you have taken the shortcut as far as finances are concerned, and hire temporary staff. Instead, as was mentioned before, hiring dedicated staff, such as apprentices, will give you that edge. 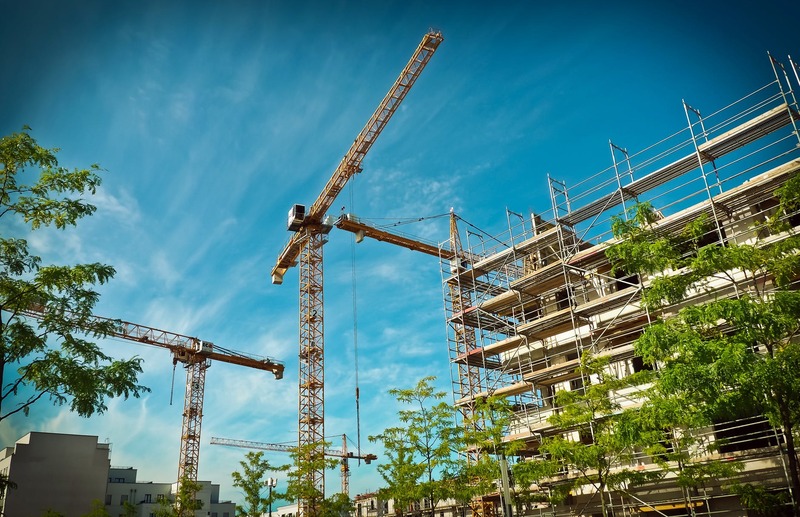 Protecting your workers on site in a construction capacity is difficult, and is, in fact, more difficult than in an office environment, but it’s not without its benefits. By having dedicated and qualified workers on site, combined with your vision of the bigger picture, as well as an overall knowledge of health and safety, and rules and regulations, the site can be well maintained, the task can be done on time, and this will benefit you, as well as get you positive referrals.